Repeat or sticky customers are the lifeblood of your business, but customers can be fickle. I come across a lot of businesses that aren’t maximising the potential of their existing customers and are therefore missing out on repeat business. When it comes to business development, most companies go looking for brand new customers when in actual fact they could get more out of their existing customers by making them more ‘sticky’. In a traditional business, the customer buys your product or service once. It is up to you to try to convince them to buy again in the future. However, in a subscription business, you have what is called an “automatic customer”. They agree to purchase from you in the future, as long as you keep providing your service or product. One of the reasons subscribers are such attractive customers is that, once they subscribe, they become less price-sensitive. To illustrate, imagine you own a 100-pound Pyrenean Mountain Dog that eats two hearty bowls of dog food a day. Feeding the love of your life is an expensive proposition, so you’re always on the lookout for a deal on dog food. Once every two weeks, you trudge down to the local pet supply store. In the meantime, if you see dog food on sale at your local grocery store, you’ll buy it. If you get a coupon for a buy-one-get-one-free offer from another store, you’ll take advantage of it. Eventually, you get tired of last-minute trips to the store, so you subscribe to Warwickshire-based petshop.co.uk, which offers a “Bottomless Bowl” subscription service. Now you know you’re going to get a shipment of dog food every fortnight. Now the part of your brain that scans the flyers for dog food starts to shut down. You know that the convenience of having dog food shipped automatically far outweighs saving a few quid. Beyond the simple convenience of automatic service, subscribers become even more loyal when they start to integrate their subscriptions into their daily lives. 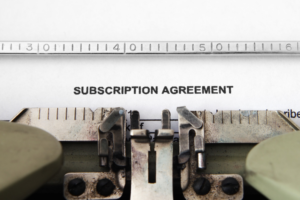 Subscribers knowingly enter into an agreement in which the convenience of uninterrupted, automatic service is exchanged for their future loyalty. Rather than buying once without returning, subscribers stick around—hopefully for years. This is why subscribers drive up the value of your company so dramatically. 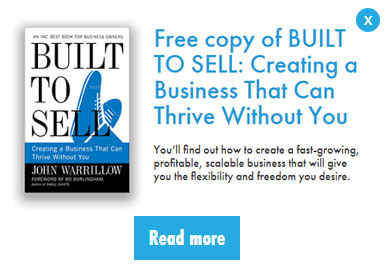 Do you want to improve the value of your business? Simply send me a quick message and I’ll be in touch to discuss the proven methodology for maximising the value of your business. 5 Indicators That Your Business Needs Help And You Haven’t Even Realised It! Do We Need Big Brother In The Workplace? Have You Got Clarity In Your Business? Is Your Business As Focused As It Could Be? Does Your Business Need A More Disciplined Approach?